AirChicago offers affordable, luxurious private jet travel from greater Chicago airports. The future is now. Imagine driving up to a hangar at Wheeling’s Chicago Executive Airport just 15 minutes prior to your flight, parking your car right outside the departure lounge, then walking a short distance to a private-jet where the pilot and dedicated flight attendant greet you. Minutes later, you are airborne. No security lines, no waiting, no hassle. 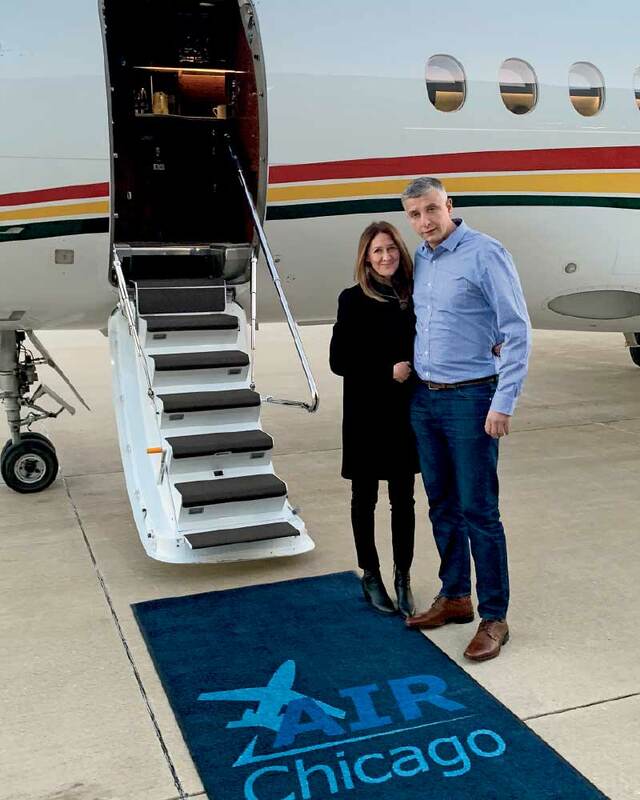 AirChicago’s innovative jet service makes private jet travel affordable and takes the time consuming effort and frustration out of air travel. All for approximately the price of a first class airline ticket. Inside the well-appointed cabin, you’ll enjoy roomy leather seats, food and beverages, Internet service, and traveling with five to seven like-minded executive business people and affluent fliers who want the convenience of private jet travel. Dave Koch, a lifelong entrepreneur and former U.S. Army and United Airlines pilot, envisioned the business that is AirChicago more than 30 years ago. “My heroes have always been aviation entrepreneurs, like Howard Hughes,” he says. With this as his motivation, Koch envisioned a way to bypass the airline system and make private jet service available on a by-the-seat basis. Business jets operated by FAA-certificated charter companies airlines will depart Chicago early weekday mornings, 5 days a week, headed to the 30 most popular air-travel destinations in the U.S.—major business and leisure centers like New York, Washington, Detroit, Atlanta, and Fort Lauderdale and Naples, Florida. To qualify, interested passengers purchase an AirChicago Jet Card, which grants them access to AirChicago’s services. Then, they can access and book flights at fares that are comparable to airline-first-class. A businessperson can leave Chicago in the morning, attend business meetings during the day, and return home in the evening. Other travelers might go to New York to shop, enjoy a cultural outing, or see a show, and either return home the same day or stay in town for a couple of days. As with many visions, it takes persistence, hard work, money, and finding like-minded business partners to make the dream a reality. It also takes the right timing and a little luck. While Koch wanted to make this happen ten years ago, the recession put things on hold for a while. But that’s the thing about driven entrepreneurs: they don’t give up their vision if it’s one they firmly believe in. Koch enlisted business partners and investors who shared his vision, entrepreneurial spirit, business savvy and experience, and ability to invest and raise funds to make the venture a reality. His wife Christine, partner in life and in business, launched AirChicago in 2017 with Koch and serves as vice president of card member operations for AirChicago Jet Card. One of the first key partners to join the Koch’s and AirChicago was Stephen G. Wasko, an aerospace engineer who worked on the Space Shuttle and other space projects in the 1990s, and is credited with helping to establish Chicago as a center of excellence for commercial space entrepreneurs. He also happens to hold a Harvard MBA and have expertise in financing startup businesses. Wasko acts as President and COO of AirChicago Holdings, the holding company for AirChicago Jet Card Express, and MyJet Express. MyJet Express is the public charter aspect of the business, with Orin Acker (who has more than 35 years of professional aviation experience) serving as president and chief pilot. Right now, there is an opportunity for others to join the AirChicago crew in an operational role or at an investor level. Investors not only receive stock in the company, but also exciting private-jet-travel perks. 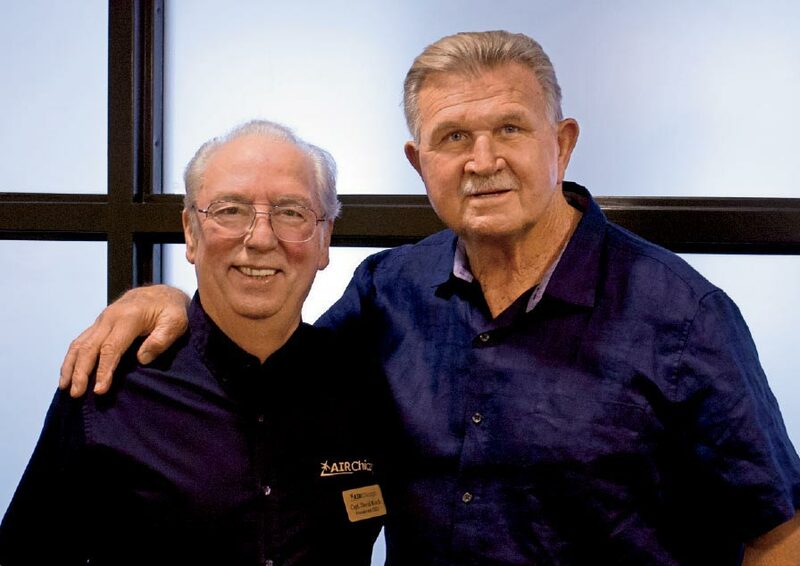 One such investor is former pro football player, Super Bowl champion, and Chicago Bears coach, Mike Ditka, who jumped on board early as an investor and now spokesperson. He also serves as an advisor on AirChicago’s board of advisors. General John L. Borling, retired Major General of the United States Air Force, also serves on the board of advisors. Nathan Juncan, an early investor in the company, also joined the AirChicago crew and serves as President of AirChicago Jet Card, responsible for marketing and advertising. That’s in addition to running his successful logistics company. Currently, AirChicago is offering AirChicago Sampler Jet Cards at a discounted rate of $250 for a six-month trial. The Sampler Card gives potential cardmembers a chance to try the service out with no commitment. Sampler Cardmembers pay airline first-class fares for their travel on AirChicago’s MyJet Express. 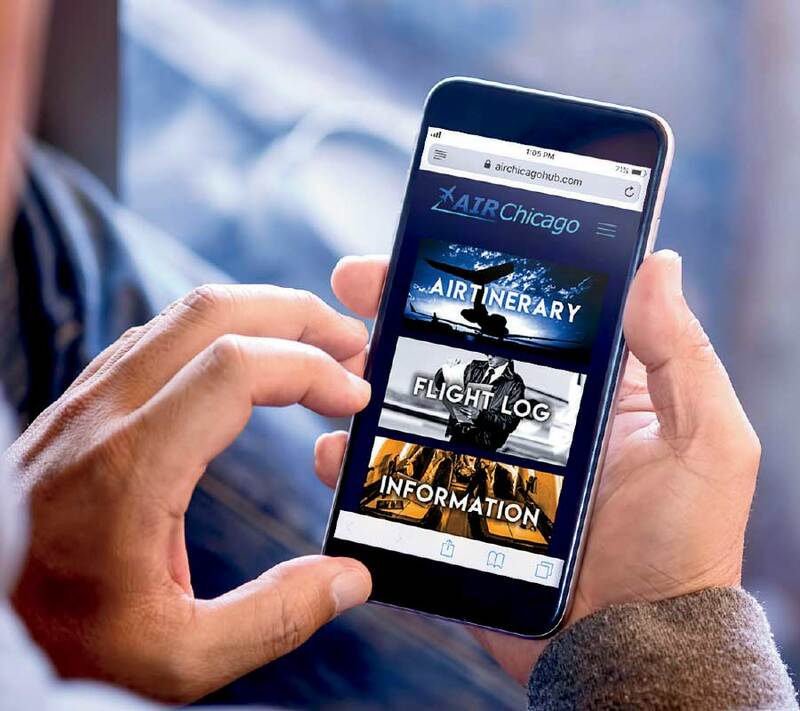 AirChicago is also in the midst of an Equity Crowd Funding campaign, which allows Illinois residents to invest from $1,000 to $5,000 in the company. For more information about the program you can attend a weekly Partner Briefing and visit the AirChicago Founder+ and truCrowd Illinois Websites. 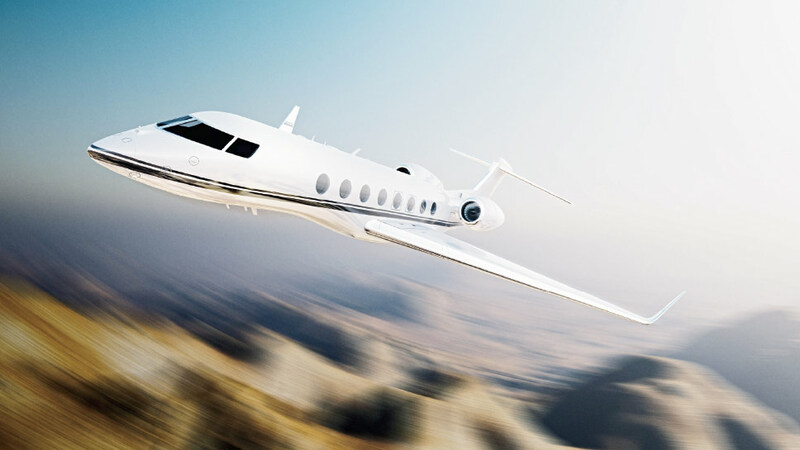 “Business jet travel is growing rapidly,” says Koch. “Eventually, we’ll introduce the same concept to Europe, then Asia and South America. And, someday, supersonic business jets will fly people three times faster, and hypersonic airliners will fly people anywhere in the world in two hours. Ever the dreamer, Dave Koch is just getting started. Get ready for take off. For more information, contact [email protected], 888-253-3806, flyairchicago.com, flyairchicago.com/sampler/, flyairchicago.com/founderplus/, il.trucrowd.com.